to occur. For more information, and to view the latest supported vehicles list, click here. follow us on our social media channels for all the latest updates!! Improved GM FSCM Support. Now also with reading! Last edited by Mark@HPTuners; 06-05-2018 at 03:13 PM. So am I correct in seeing that 2019 GM vehicles will require an MPVI2 and will not be supported with the older MPVI interface even with 4.0 software? 2019 GM vehicle support released thus far is applicable to both interfaces. Ok I'll get an MPVI2 for ZR1 support later. The addition of the Nissan/Infiniti support is huge - the current only available options are antiquated or very limited in vehicle support. 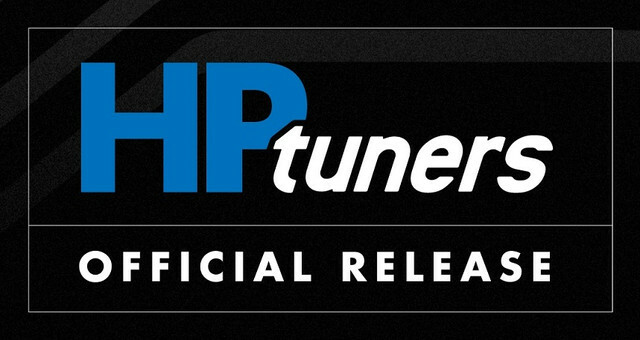 Its very encouraging to see the HP Tuners is support the vast amount of vehicles/years listed. The 2007-2009 Nissan Fuga VQ25HR and VQ35HR - The VK45DE was also an available engine in this year range as well. For the US market this car was the Infiniti M45 (or M35 with the VQ35 motor). The VK45DE is identical on sensors as the VK56DE motor. Will the support for the Fugu/M45 be an option? What about new applications like Nissan, will they work with MPVI-1 or are they exclusive to MPVI2 ? Ford, GM and Dodge applications listed still work on the MPVI. All other vehicle releases are MPVI2 only. Will 4.0 release contain all same functions as current Beta release? Stupid question, is it stable enough to put into production environment? Assume it is. But we all know what assuming does. Does this release include a firmware update for the MPVI-1 units? I still use old 2.24 for some cars and I want to keep using it. After installing 4.0.5.0, the scanner does not include any transmission channels ??? missing tons of channels ! I figured it out.... It was stuck on a car's profile I was scanning that there is no support for. I changed the profile to a supported vehicle and all is good. Sometimes I think I'm getting dumber every day. 4.0 should be able to open files saved with 3.6 and most older versions of software. I just tried.. Once I opened and saved a file with 4.0 on one computer I could not open it with 3.6 or 3.6 beta that I still had on another computer.. Told me I needed a newer version of software..